Meghan Loman is a 5th year dancer with Carolina Ballet Theater (CBT) as company member. She began her training in Springfield, Illinois at Dance Arts Studio under the direction of Grace Luttrell Nanavati and was privileged to become one of her instructor for nearly 7 years. 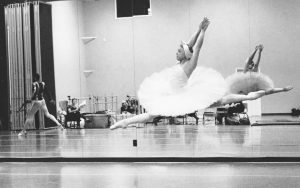 At age 13 she was accepted into the Springfield Ballet Company (SBC) and was a Company member for over 10 years under Artistic Director Julie Ratz. 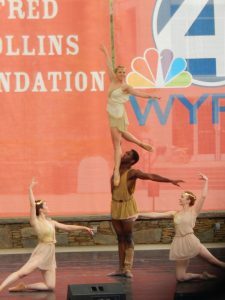 She danced in many staring roles with the SBC including “Aurora” in Sleeping Beauty, “Sugar Plum Fairy” in The Nutcracker and many soloist roles in SBC seasonal performance of Rockballet. Meghan have a long relationship with CBT She participated in three editions of Summerworks where she performed lead roles in the productions of Don Quixote, Diana and Acteon pas de deux and Paquita. She also performed as guest artist with CBT in the production of Dia Latino. She has traveled to compete in Chicago and the New York City Finales for Youth America Grand Prix in 2004, 2005, and 2007. She has recently started into choreograpy and has done quite a few pieces for her studio and for the SBC and hopes continue to grow in all aspects and knowledge of dance. She would like to thank her Parents Richard and Deborah for supporting her career and making her dreams come true, and her teachers for the gift of their training and also their encouragement. Meghan has been a teacher with DanceArts for 4 years and is favorite for her energy & spirit. She teaches ballet, jazz, hip-hop, tap and floor barre. She can also be found helping out in the office.